On this day in dinosaurs we wish Irrfan Khan a very happy birthday. 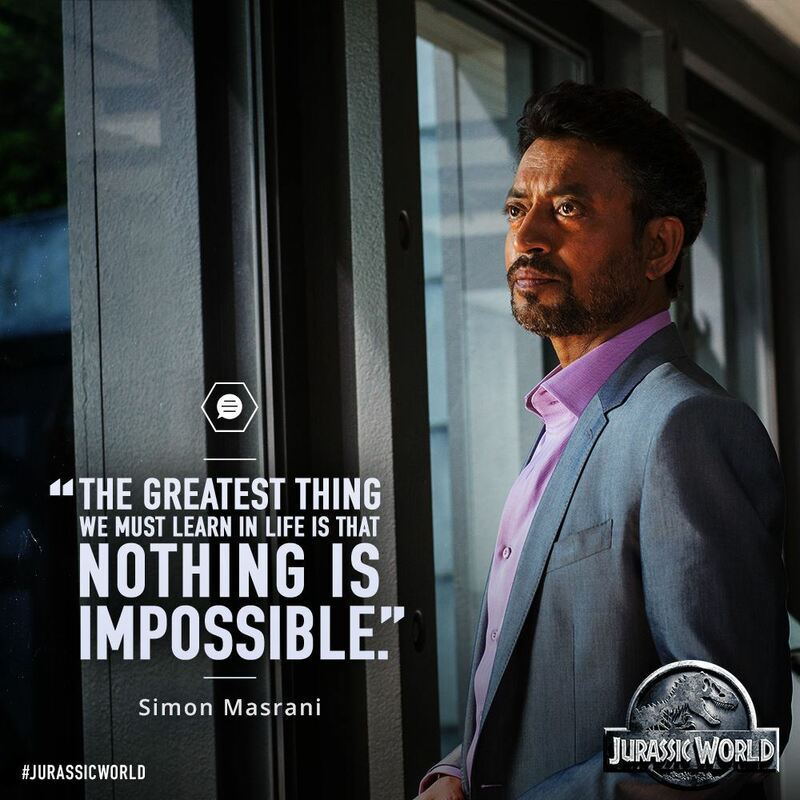 Dinophiles will know him best from his role as Simon Masrani in Jurassic World. Apart from their mutual monetary wealth, Simon Masrani stands in stark contrast to his predecessor John Hammond–the original financier of Jurassic Park. During his portrayal of Masrani in the recent blockbuster, Khan says, “The key to a happy life is to accept you are never actually in control.” This seems to be a direct response to Hammond’s yearning for absolute control in the original Jurassic Park film. Where Hammond had an intuition about how to make money, Masrani seems to have an intuition for philosophy and living life to the fullest. And yet, both characters are–in a sense–undone by their passions. To that end, we wish Irrfan Khan a great, pterosaur-free birthday. Love Irrfan Khan’s performance in Jurassic World? Share your favorite moments and Jurassic Park franchise moments with us on Facebook and Twitter using the hashtag #TDIDinos.